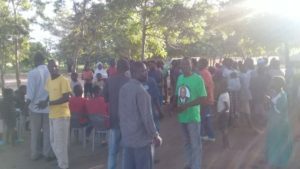 NENO-(MaraviPost)-The People of Neno South Constituency have been assured of numerous development projects once Freedom Party (FP) candidate wins parliamentary elections for the forthcoming May 21 general elections. Freedom Party’s whose President is Khumbo Hastings Kachali, the country’s former vice president is into electoral alliance with Malawi Congress Party (MCP). The party’s aspiring MP, Steve Njobvuyalema Moyo who is also FP secretary General made the assurance on Sunday when addressing a mass rally at Chifunga in the constituency. 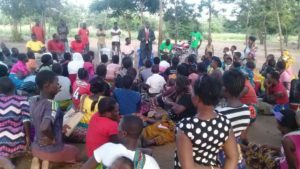 Njobvuyalema Moyo told the constituents that his desire to contest as a member of parliament came after discovering that the constituency is still underdeveloped despite having members of parliament since the advent of multiparty democracy in 1994. 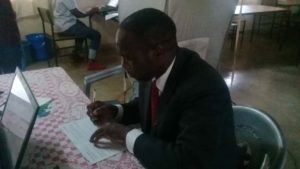 The aspiring lawmaker Njobvuyalema who is also secretary general of the Freedom party said he has made a decision to contest with the mindset of develop the area by ensuring the people of the constituency good infrastructure, clean and safe water, passable roads, people easily accessing healthcare services among others. “I am quite shocked to see this constituency failing to develop while other constituencies are developing. 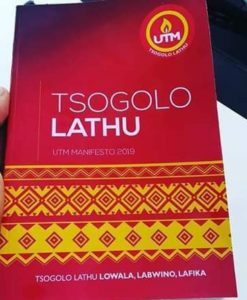 I wonder why former and current parliamentarians couldn’t take advantage of Local Development Fund (LDF) to fund development projects needed by people?” Njobvuyalema bemoaned. He added: “I want to use LDF and other development fund initiatives available like Constituency Development Fund (CDF) and nongovernmental organizations to develop this area. I know it’s possible because I have helped others to get technical and financial support from LDF and well-wishers.” And additional on that Njobvuyalema telling people that development is not only coming from the government but also from the leader, a leader must show his or her commitment to people. You can’t deliver development to people when in you, you have no any passion on it. In his remarks, group village headman Dael lauded Njobvuyalema Moyo for boldly deciding to contest because he is quite sure that development would come to Neno South Constituency. The village chief said if the constituency had parliamentarians like Njobvuyalema Moyo caliber the area could have been developed. Prior to the rally, Freedom Party candidate Njobvuyalema Moyo successfully presented his nomination papers to MEC officials at Chifunga TDC. Many people came to witness Njobvuyalema Moyo’s presentation of nomination papers. About elleven (11) candidates presented their nomination papers and will contest for a parliamentary seat for Neno South Constituency.